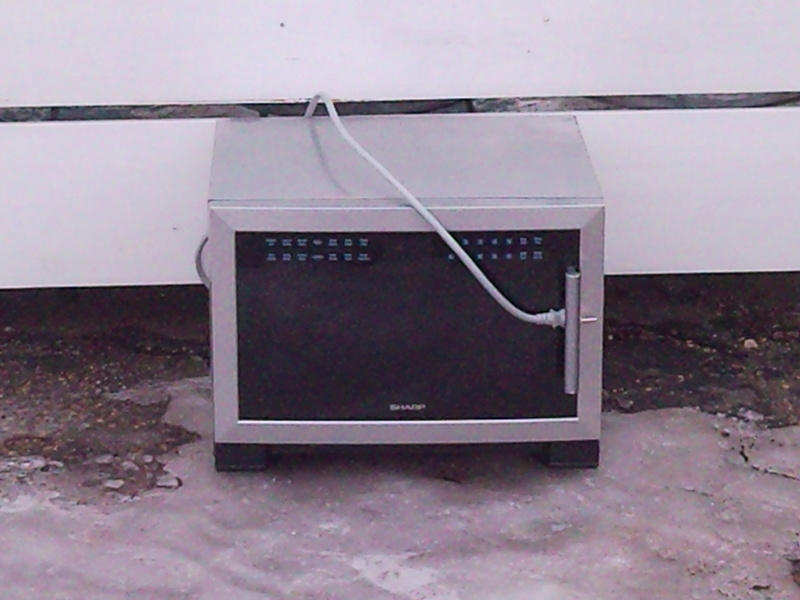 Sharp Microwave became a member of the Kramer family in June of 2003. It weighed in at about 30 lbs, and was silver in colour. It quickly became an integral part of the family life in the Kramer household as it worked hard day in and day out preparing food and drinks for the Kramer’s and their guests. It rarely let them down although it did make its labours more than well known on some occasions as it emitted loud grinding noises. These soon became part of its charm though as it was discovered that the groans of agony could be easily eleviated with a gentle, but firm, love tap on its side. Sharp Microwave, or “Nuker” as it became known as, saw the Kramer family through many different stages of life being a faithful stalwart through them all. From early married life with it’s many microwaved dinners, through more moves and remodels than this author cares to count. It even remained steadfastly with the family through the weird oatmeal stage. It saw them through the arrival of the first child and all the baby food, formula, and bottles to this day it warmed thoroughly and faithfully. It even managed to have a role to play in the warming of the first bottle of the newest member of the Kramer family only a week ago. Unfortunately this would be its first and last role to play in the life of this new bundle of joy in the Kramer lineage. Alas, on this day, Wednesday, March 10, 2010, “Nuker” finally irradiated its last stick of margarine. It seemed like a morning like any morning and no one in the Kramer family had premonition of the carnage that was to befall their faithful culinary companion. Shortly after the start button was pushed fireworks nigh unto the brightness of a thousand supernovas and a stench as heinous as burning hair filled the Kramer kitchen. At first shock and disbelief filled the household. Sure Sharp Microwave’s display had been starting to fade and burn out over the past number of months, but it was surely just natural aging and nothing to be concerned about. However, what had just happened before their eyes left nothing to the speculation. After a few frantic moments trying to determine what had just happened, it was decided that “Nuker” deserved one more try before life support would be pulled. The door was opened, twenty seconds were placed on the timer and the start was again nervously and tenderly pushed. This however only confirmed the worst, Sharp had finally proven it could no longer function. At approximately 8:15am this morning it was decided by the Kramer family that they should pull the plug. With heavy hearts, as the children and wife watched Little Einsteins in the other room, “Nuker” was escorted to its final resting place in the alley and a replacement from Walmart was put in its familiar place on the counter. Oh Sharp Microwave, it feels like we just met and already you’re gone. Thankyou for all the good years old friend. 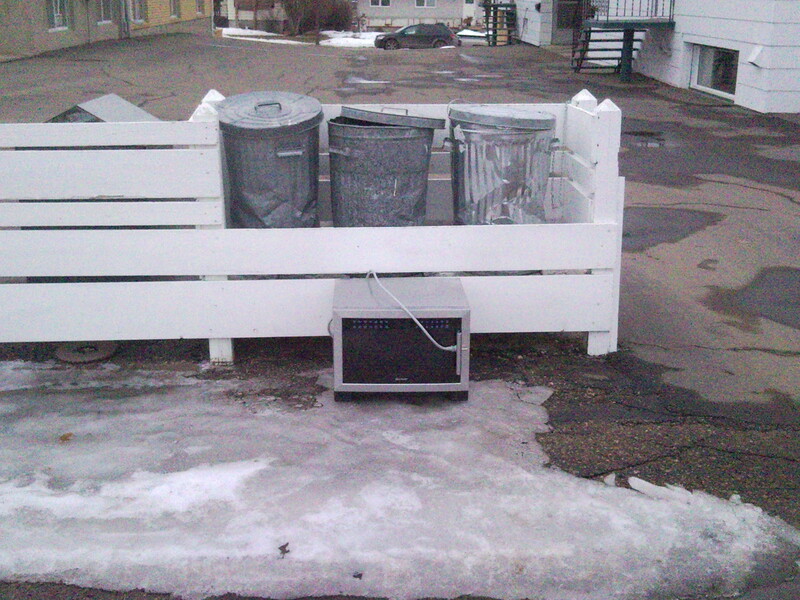 We may be able to buy a new microwave, but we can never replace you. Makes me wish I would have known him better. 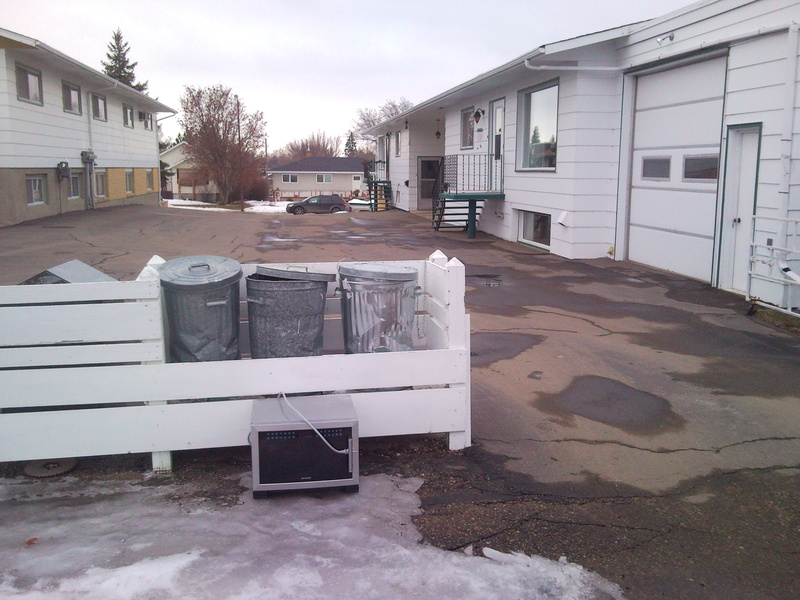 I actually looked into all of it and found we only recycle TVs, computers, laptops, and monitors here in Saskatchewan. If there were another option I’d have taken it.